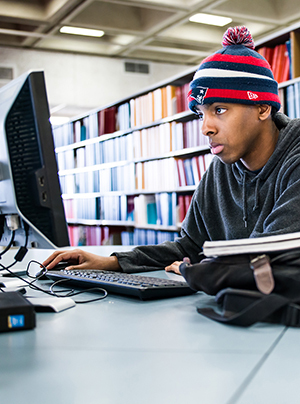 The Educational Resource Center (ERC) is a K-12 curriculum library that provides resources and services to support professional education programs at Bridgewater State University. The collection emphasis is on practical materials that can be used for curriculum planning, preparation and teaching of lessons, and assessment of pupils. Tools for conducting educational research are also located here. Works pertaining to the theory, history, or philosophy of education, as well as those on higher education and school administration and finance, can be found in the library's General Collection (also on the 2nd floor of Maxwell Library). All ERC collections are accessible at any time the library is open, except the standardized test collection, which is only available when an ERC staff member is present. Students who need to view the tests should call the ERC beforehand to ensure that someone will be available to assist them. Friday Service Desk hours may vary, please call 508.531.1304.